This weekend I went to a steampunk convention. I was a little nervous because I didn't have a themed costume but I pulled out an Victorian Gothic dress, a mini top hat, corset and hoped for the best. I worry too much, everyone at the con was super sweet and friendly and loved my get up (especially my coffin purse). I'm still waiting for some of the great shots from the con, I will be sure to share a few when I get them. 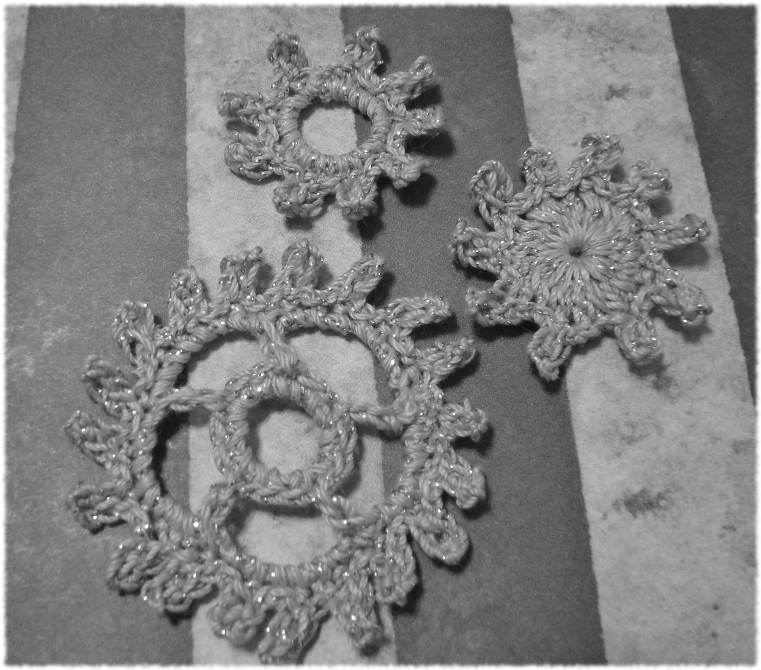 The lovely little gears would be beautiful as embellishments on costumes or starch them to make lovely steampunk Christmas ornaments. I recommend blocking these gears. I didn't in the pictures because I was so excited to show them off. Here's a shot from our lunch break. My skirt is flared at the bottom but it didn't show up in the shot. Don't you love my new hair color? It's so bright and sassy.